Olympic Bronze medalist and World Champion, Anna Rizatdinova has a brand new site, promoting a “dream body” workout. New Balance Ukraine gave Anna the opportunity to promote her image all around the world. This sports brand is also sponsoring Rhythmic Gymnastics National Team of Ukraine. The website includes exclusive content such as a interview to Anna just after Olympic Games. Olympic Games in Rio: the moment I was standing on the podium realizing my dream has come true. Hoop. I became World Champion in Hoop in Kiev World Championships in 2013. Who’s your inspiration in life? Michael Jackson: People who is dedicated to their work and are passionated about what they do. How many hours do you train per day? Which is the most beautiful city you have visited? What drives you in your life? Ukrainian graces, Anna Rizatdinova ( 2013 Word All-around silver medalist, the 2014 All-around bronze medalist and the 2014 European All-around bronze medallist) and European medallist, Viktoriya Mazur attended this month to Euskalgym Gala Show in Spain. These pictures where taken during autograph session and press conference. 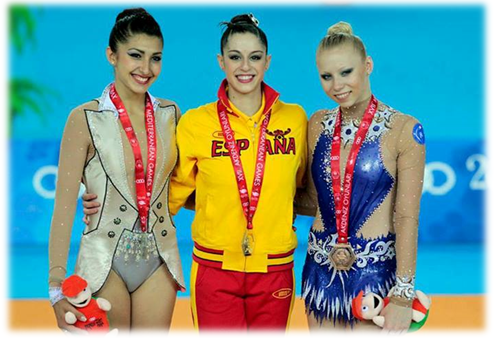 Anna Rizatdinova was interviewed by one of the most popular sports press magazine in Spain. She revealed how happy she was for qualifying for Olympic Games in Rio. She already started her preparation looking forward Summer Olympic Games in 2016. This season, 2014, was one of the most succesful in Anna Rizatdinova’s career: Bronze medal at European and World Championships in All-Around. 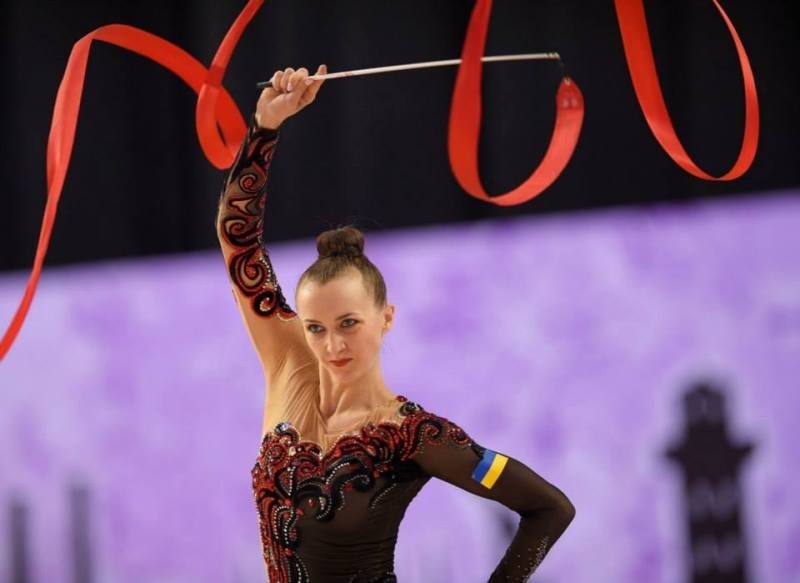 Ukrainian champion, Anna Rizatdinova, bronze at European Championships this year is getting ready for Izmir Championships 2014, that will be held in Turkey the next week. – It is very difficult to prepare: both mentally and physically. I think that this time I will be very fit for this competition. We could not almost train in January and February due to political situation in Kiev. – Have you been in Turkey before? – I have been when I was a kid and I can’t almost remember anything. This time, during competition it will be very difficult to visit the city since we only visit the hotel. I do not know if it will work this time to get out. The schedule is pretty intense: five days of competition. – Where is your gold medal (World Championships Kiev 2013)? – I can say it is very good. Last spring we competed in France where many people support us up. We did not expect this. Everybody was asking us if we were sad. With Russian team we were talking as ever- but not about politics. – Last year at World Championships in Kiev you won a gold medal. Accidentaly, Russian national anthem was played instead of Ukrainian. You began to sing but suddenly you said “Not this…”. How you would react at such mistake right now? – My parents were born in Russia so they know both anthems. That happened last year, now the situation would be totally different. – Recently, Alina Maksymenko uploaded a video performing a “basketball trick”. Was this your idea? – No, I was not with Alina when she recorded this video. Now that she finished her career, we don’t see each other very often. 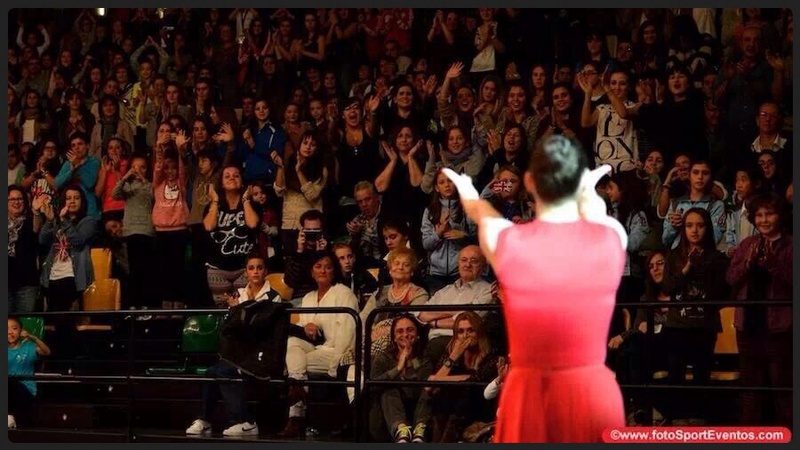 Alina was invited in many countries (masterclasses) and she has scheduled about three others in Spain. – Irina Blohina is pregnant, what do you think about it? – We are all happy for her. Ireesha is coming to help us many times. 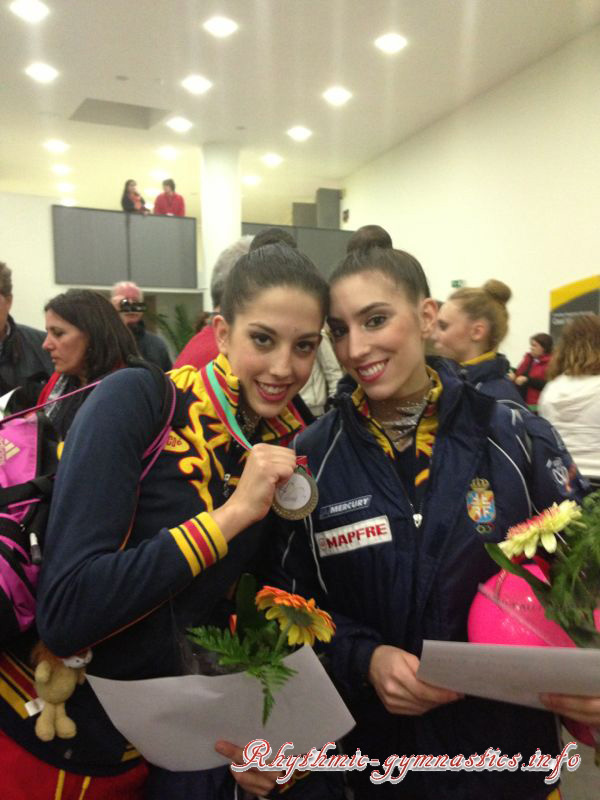 It is a pity she can’t come with us to World Championships in Turkey, but fortunatly, we have phones. – We don’t have so many free time. We just have a day off: Sunday. After trainings, we are very tired and we don’t even have time for going for a walk. World Champion Anna Rizatdinova in an amazing photoshoot for fashion site called JetSetter. Anna is wearing designer clothes such as Valentino and Dolce&Gabanna, top designers nowadays. Anna also talks about her life and her victories this year.